Governing Board members are unpaid, elected officials who serve as the policy-making body for the Tolleson Union High School District. A board member must be a qualified elector and have lived in the district at least one year. Each member serves a four-year term. Terms are staggered so two or three board seats become vacant on alternate election years. 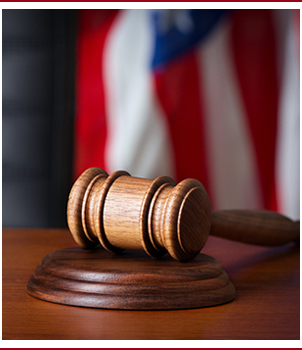 According to Arizona law, board members may serve for an unlimited number of terms. The Tolleson Union High School District Governing Board is responsible to the citizens of the district and the state of Arizona for the education of public school students. The board sets policy, approves educational programs and textbook adoption, approves the hiring and termination of personnel, sets salaries, and adopts a yearly budget. 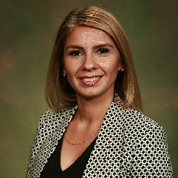 Ms. Madruga became the Tolleson Union High School District Governing Board President on January 10, 2017. President Madruga began her first term as a governing board member in 2015. She holds a master's degree in business administration, a bachelor's degree in business administration, and a human resources certificate from the University of Phoenix. President Madruga is also a graduate of the Valle del Sol Hispanic Leadership Institute–West. For over 20 years, President Madruga has worked as a public sector employee supporting functions that directly affect the community. President Madruga is the proud mother of two beautiful daughters. She is a long-time West Valley resident currently residing in Tolleson. Her oldest daughter is a graduate of La Joya Community High School, her youngest daughter currently attends University High School, and President Madruga is a graduate of Tolleson Union High School. She desires to build positive relationships with all stakeholders to propel the district forward. Ms. Madruga actively seeks out opportunities for students, teachers, and staff. She is excited to be a part of the TUHSD family and looks forward to working collaboratively with our partners. Mr. Villalon is currently beginning his second term as a Tolleson Union High School District Governing Board member, which began in 2013. 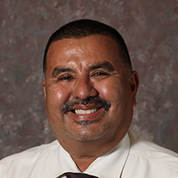 Previously, Mr. Villalon served on the Tolleson Union High School District Governing Board from 2007 to 2010. Mr. Villalon holds a Masters of Education from Nova Southeastern University and a Bachelors in Elementary Education from Arizona State University. He has worked as a teacher and administrator in the Isaac School District and with Imagine Schools. Mr. Villalon is currently an academic improvement specialist with Imagine Schools helping struggling schools to improve. A proud graduate of Tolleson Union High School, his children also attended Tolleson Union High School District schools. 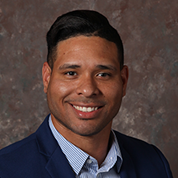 He has served as a minority student recruiter for both Arizona State University and Glendale Community College. He is active in the Tolleson community currently serving on the Tolleson Service Committee Board of Directors. Mr. Villalon attends numerous events throughout the district and in the community. Mr. Villalon strives to help all students succeed and achieve their fullest potential. He is proud to see each of the schools in the district improve academically over the last year. 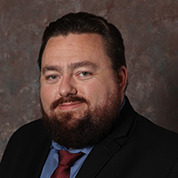 Mr. Chapman joined the board in January 2011 and is currently in his third term as a Tolleson Union High School District Governing Board member. He is a 2006 graduate of Westview High School and has been involved in the community since his graduation. Mr. Chapman is a strong supporter of career and technical education programs and wants to see our CTE programs growing and leading students to more successful futures with options in college and careers. He believes that by working together with families and community, TUHSD can be a leader not only in the west valley but also in the state of Arizona. Mr. Chapman is visible on campus and attends numerous school events. Mr. Chapman was elected to the Arizona School Board Association’s Executive Committee as Secretary at the annual meeting in December 2016. 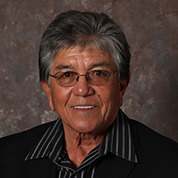 He has also served as an ASBA representative to the Arizona Interscholastic Association Legislative Council. Mr. Chapman was the TUHSD governing board president from January 2015 – December 2016. Mr. Del Palacio has been on the Tolleson Union High School District Governing Board since 2015 and was re-elected as Vice President on January 10, 2017. He is a Human Services graduate of Rio Salado Community College, and obtained a Constitution Law Certificate from Yale University. In 2015, Mr. Del Palacio was elected Pacific Regional Director for the National Black Council of the National School Board Association. He represents schools, students, and Governing Board members in the Pacific region. Beginning in 2012, Mr. Del Palacio contributed as a community organizer and worked with members of the community to register voters for upcoming elections. Community involvement is very important to Mr. Del Palacio. He is the founder of PHX United, which organizes community service programs for at-risk youth. Mr. Del Palacio believes that every kid deserves access to a quality education, and he knew that becoming a governing board member would empower him to achieve his goal. As a member of the TUHSD team, Mr. Del Palacio is looking forward to optimizing learning for all. Dr. Kino V. Flores is beginning his first term as a Tolleson Union High School District governing board member in 2017. His education career spans over 4 periods of 36 years. His educational journey includes the classroom, where he taught for six years. His administrative resume includes several years as assistant principal of curriculum and instruction, student activities, athletics, and dean of discipline. Prior to his 14 years as district superintendent of the Tolleson Union High School District, he was the high school principal of Tolleson Union High School for four years and the principal of Carl Hayden High School for seven years. Serving as a visionary leader, he designed and created schools within schools that served students from the most academically gifted to those most challenged by learning disabilities. Dr. Flores designed and created three nationally acclaimed programs in the Tolleson Union High School District. University High School on the Tolleson Union High School campus focuses on academically gifted students. The Jim Green Alternative School was created to address needs of the student who needs additional time and support and has not been successful at the main campus. The Lighthouse serves students who have been suspended or expelled from other schools. All public notices of meetings will be posted electronically on the district website and physically at the district office. To view agendas or minutes from a previous school year, please visit our Governing Board Archives.